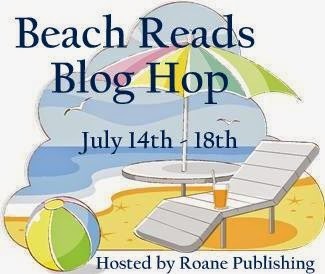 The Beach Reads Blog Hop hosted by Roane Publishing has now begun. Each blog on this hop is offering a prize so please use the linky below to check out what everyone is offering. Reader Girls is offering one reader their choice of a new fantasy anthology, Portals, in their choice of ebook or paperback along with a $5 Amazon gift card. Simply enter below. No matter what world you call home, and what your station in life, there are just some paths that weren't meant to be tread. And, is the banshee really kidnapping the girl...or saving her from something else? Imagine a new neighbor moves next door, a creepy guy who gives fifteen year-old Amy Silva the willies? Amy wonders what the stone archway in the backyard is for. Her life becomes even more stressful when her family reveals they’re witches. Could Amy’s new neighbor have anything to do with a local girl’s disappearance or be a threat to her magical loved ones? These stories all sound so interesting!! I think I'm most looking forward to Strange and Ever After by Susan Dennard! I just started my book blog (http://bookcatpin.blogspot.ca/) and am looking forward to meeting other bloggers! Please come visit me if you have some time, thanks! 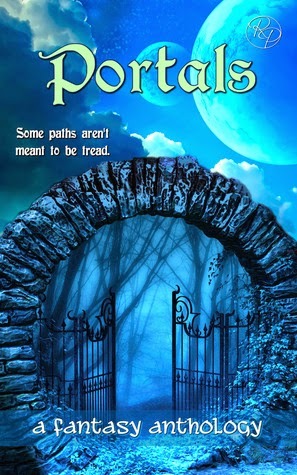 I haven't read the Portals Antho yet..a.really looking forward to it! I am looking forward to reading The Winner's Curse and Silver Shadows! Just the next on my reading list. Best way to choose. Probably MR MERCEDES by Stephen King. Too hard to choose. They all look darned interesting. I am looking forward to reading The Skin Collector by Jeffery Deaver because I heard that it is really good. Thanks for having the giveaway. Severed Souls by Terry Goodkind because it's the last of a trilogy. So glad to see so many responses and the titles of books everyone is looking forward to reading. Thank you all! This summer I am looking forward to reading The Book of Life by Deborah Harkness. It is the final volume in her All Souls Trilogy. Thanks for the great giveaway! We thank everyone for commenting and entering. Therin won!